Are you wondering what is wrong with you lately? Have you been second guessing yourself, wondering if you’re going crazy as you wonder if your feelings and perceptions are true? Do you feel smothered, crushed, and minimized? How about overwhelmed, hyper-sensitive, or alienated? The effects of Gaslighting can undermine how you view yourself as well as interfere with every aspect of your life from your friendships to work. You may feel irrational or imbalanced, but you can overcome these abusive tactics. The first step is to identify them. The term Gaslighting comes from the 1944 film Gaslight, in which a husband systematically makes his wife feel crazy through a series of manipulation tactics. This term is now used to describe behavior in any relationship, partner or otherwise, that is manipulative. Make no mistake, Gaslighting is a form emotional abuse. The victim finds that their ability to make proper judgements diminishes as the abuser spins their destructive behavior around, placing the blame on the victim. 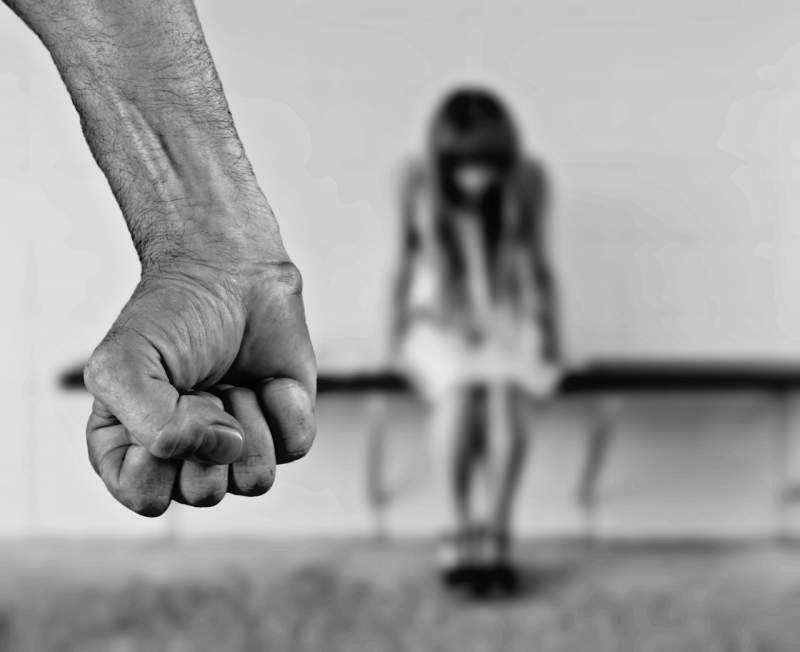 An abuser will make the victim feel paranoid, overly sensitive, or mentally unstable when they challenge the abuser’s harmful words and behavior. Due to their close relationship, the victim begins to doubt themselves. This pattern repeats itself until the victim is unsure about their own sanity, questioning whether their perception of the abuse is even real. These tactics are often used by sociopaths or psychopaths, as well as narcissistic types. Over time, the victim’s confusion causes them to feel like an empty shell instead of the individual they used to be. Since Gaslighting is done by someone with a close bond to the victim, it isn’t always to identify the signs until it’s too late. Manipulative tactics are never obvious. Abusers keep their methods subtle, allowing numerous occasions to build up over time until you are fully defeated. Since the goal of Gaslighting is to make you feel crazy for suspecting the person would do this to you, identifying the sings can be challenging. However, there are tell-tale signs. See if any of the following sounds familiar. There’s something off about the other person in this relationship, but you can’t put your finger on what it is. You find yourself second-guessing your memory of past events, specifically episodes in which you had felt their words or actions were damaging. You begin to wonder if their actions were justified, if you exaggerate them in your recollection, or if you were the one overreacting. During the day, you feel confused and disoriented for no apparent reason. This person makes you feel threatened, and you find yourself on-edge around them without knowing why. You feel as though you need to apologize to them for the things you do and the person you are. You are never good enough for their expectations, even when their demands are unreasonable or cause you harm in some way. You think you’re losing it, or that something about you is broken. There’s a constant feeling that you might be too sensitive, or you’re always worried about overreacting to a situation when you weren’t before. You experience feelings of isolation, hopelessness, and depression regularly. You don’t feel as though you can trust you own judgement, so you have begun to trust how the abuser tells you past events happened and how current events truly are. Something is terribly wrong. You can feel it, but you just aren’t sure what it is. Making decisions becomes difficult. You may simply not trust yourself, or you may be afraid that it will be the wrong decision for the abuser. You were once strong and confident, but now you feel weak and powerless. You aren’t happy anymore, and you feel guilty about it. Staying silent has become a better option than speaking up or expressing your feelings. You’re afraid to do so. Gaslighting is never one occurrence, nor is it one simple tactic to identify. Abusers use a variety of techniques to diminish your person, and this from of abuse has many. An abuser will constantly discredit you. They will make you feel as though your feelings and thoughts have no value, and often convince others that you are crazy or irrational. They often do this to you using both assertiveness and fake compassion. Their domineering personality, crocodile tears, or false compassion is used to coerce you into feeling as though you’re wrong about their actions. The more you fall for their deception, the likelier you are to start believing their version of past events. Deflection is a common tactic, with the abuser either immediately asking another question or making a negative statement about your thoughts. When you address their harmful behavior, they may say that you are imagining things, that your thought is a crazy idea or that you aren’t remembering the situation correctly. These deflection tactics go hand in hand with minimizing your feelings and thoughts. They will tell you that you’re making things up, that you are lying, or that they don’t know what you’re talking about. This leads into twisting and reframing their negative actions in their favor. The abuser finds a way to take what they said and make it sound as though it was meant positively. They could tell you that physical abuse was nothing more than a light smack, or that their actions were the result of them trying to help you when they actually hurt. Gaslighting tactics start out on an infrequent basis, happening only once in a while. Soon, these situations become more frequent until they happen on a regular basis. Spotting an abuser requires you to notice that the frequency of their destructive episodes followed by Gaslighting has increased. Everyone will experience some form of Gaslighting in their lives, but most of these occurrences are a one-time event with others. They are a simple disagreement that is resolved through honest conversation that allows the relationship to continue in a healthy way. The problem arises when the episodes become frequent, creating the negative feelings you may be experiencing. To separate yourself from your abuser and begin the healing process, you first have to identify that Gaslighting is occurring. Write down the episodes that take place, what the other person says to you, and compare them with the information above. Take the time to clear your mind before doing so. A few deep breaths and a quiet location can help you to center yourself and stay objective. If the other person’s behavior does match up with the emotional abuse of Gaslighting, then you need to decide if it is worth continuing your relationship with them. Is it worth staying at your job, remaining friends with someone does not respect your feelings, or holding onto a relationship with someone who has no problem abusing you emotionally? If not, then the next step is to seek help from trusted friends and loved ones. Talk to them about your problem, ask them for help getting away from your abuser, and discuss ways in which you can remove yourself from this situation. If physical abuse is taking place, immediately find a shelter and contact only those you trust the most to aid you during this time. As others are helping you through this situation, it is important to shift your perspective of yourself. You do not have to remain a victim, the things your abuser has said and the way they’ve made you feel do not define you. Work on viewing yourself as a winner, a warrior, someone who can overcome these challenges and reclaim their personal power. Once you are removed from the abuser, you will regain the confidence and clarity you’ve lost over time. Soon, their mind games will become a thing of the past as you look forward to a brighter future.